Hay fever, technically known as allergic rhinitis, affects between 40 and 60 million Americans, according to the American College of Allergy, Asthma, and Immunology. While the name “hay fever” is how this condition is typically referred to, it doesn’t necessarily involve hay or fevers. It’s widely believed that the condition got its name because its symptoms would strike during the hay harvesting period, which coincidentally corresponded to the increase in pollen. Because the conditions require different treatments, it’s important to work with our Houston ENT & Allergy clinic doctor to determine the exact condition you have and to work together to come up with an effective treatment strategy. Seasonal hay fever: People in Houston who have seasonal hay fever often experience worsening symptoms in spring, summer and/or early fall. Symptoms are usually the result of exposure to mold spores and/or pollens in the air from grass, weeds, and trees. Perennial hay fever: Sufferers of perennial hay fever are symptomatic throughout the year. These allergic reactions are generally to things that are more persistent — like pet dander, mold, dust mites, cockroaches, etc. There are an unlucky few who have the proud distinction of experiencing both types of hay fever with year-round hay fever symptoms that worsen seasonally. Also, some people are affected by nonallergenic causes of rhinitis involving exposure to strong odors, like those coming from cigarette smoke, perfume, and cleaning products. For some hay fever sufferers, the signs of hay fever are as clear and easy to read as the calendars on their walls. As soon as the first notes of spring hit the air, for many individuals, the unpleasant symptoms begin their relentless march through their nasal passageways leaving a wide swath of pain and misery in their wake. Those would be the people who suffer from seasonal hay fever. People with hay fever as a result of seasonal triggers may not be vulnerable to all of them. This means they may experience some relief during certain seasons of the year. For instance, if tree pollen is the primary source of your hay fever, spring is not your season to be void of symptoms, but summer and fall provide some relief. Grass pollen is a common factor in late spring and throughout the summer, while ragweed pollen is most prevalent in the fall. For others, the signs of hay fever are less obvious unless they know the specific causes of their symptoms. In some instances, people experience the symptoms any time they are exposed to cats or dogs or walk into homes where there is a lesser priority given to removing allergens from the air, carpets, furniture, etc. Though even among those who have perennial hay fever, symptoms may worsen in winter when people tend to keep homes buttoned up tighter than the rest of the year. People who suffer most from exposure to mold may find that sources exist indoors and out to trigger their misery. Because of this, many types of indoor and outdoor molds and fungi are listed as seasonal and perennial. Many of these symptoms above you would experience with a cold, sinus infection and other illnesses. Hay fever symptoms typically occur promptly after exposure to specific allergens, while colds usually appear between one and three days after exposure to certain viruses. Colds often last three to seven days where hay fever can last as long as exposure to allergens continues – usually several weeks in the case of seasonal hay fever. Colds are often accompanied by low-grade fevers while hay fever rarely involves fever. Sinus infections can linger even longer and be accompanied by a fever as well. Understanding these differences between hay fever and colds or other conditions can help you explain your symptoms better to our Houston ENT & Allergy practice physician, so you can be sure you’re getting the appropriate treatment for your specific condition. If you have a child that is suffering from hay fever, it can be difficult to isolate the exact triggers for their symptoms or to differentiate between hay fever and a common cold or other potential cause of your child’s misery. Try to track the symptoms, especially their duration. If they last more than one week, consider setting up an appointment with your pediatrician to discuss your concerns and what options you might be able to consider for offering relief to your little one. Stay inside during peak pollen seasons for you. This will reduce the exposure to pollen, thus decreasing your misery. Keep your windows closed. Doing so prevents pollen from blowing into your home through open windows. Minimize activities that might increase your exposure to various pollens (like mowing your lawn or blowing leaves). Choose flowers that are pollinated by insects rather than those that are pollinated by the wind. Wash your hair and shower before going to bed at night to remove pollen that may be caught in your hair. Avoid drying clothing on an outdoor clothesline. Vacuum your home regularly with a vacuum cleaner equipped with a HEPA filter. Remove dust in your home frequently. Get rid of carpets and rugs. Opt for hard surfaces in your home instead to ride your home of perennial allergens and reduce seasonal allergens tracked into your home and ground into your carpets. These things can all be extremely beneficial when it comes to reducing your exposure to allergens known to trigger hay fever symptoms. If you aren’t yet sure what causes your specific hay fever symptoms, consider contacting our ear, nose, and throat doctor to schedule an allergy test that will help you narrow your focus. 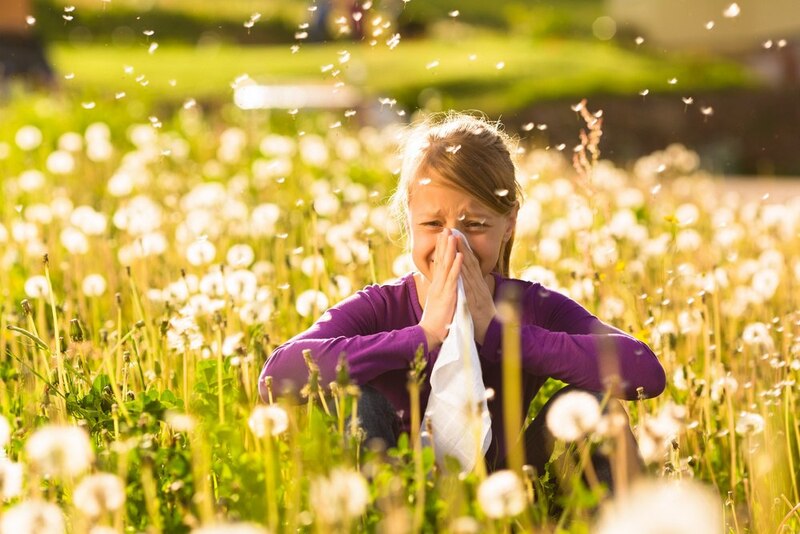 Treating hay fever works best under the direct care and supervision of an ENT physician. Preventing exposure to the sources of your allergies (grass, pollen, ragweed, pet dander, etc.) is always a good start. Some exposures, however, cannot be easily prevented. If you go to our ENT doctor to confirm allergies and triggers, you may find there are prescription medications that are more effective at helping you manage your hay fever symptoms. These include antihistamine eye drops, nasal sprays and medications as well as allergy shots. Finding solutions for your hay fever symptoms doesn’t have to be a complex process. Schedule an appointment with our Houston ENT & Allergy doctor today to determine if you do, in fact, suffer from hay fever, and the steps you can take to find relief.